In association with the international law firm, the Faculty operates the Herbert Smith Freehills Visitor Scheme. It provides financial support for about seven academic visitors a year, drawn from mainly from outside the United Kingdom, who wish to conduct independent legal research in Cambridge. Each year The Faculty also welcomes a number of senior scholars as Faculty Visitors. This title is conferred by the Faculty Board on nominations by members of the Faculty. The Centre for European Legal Studies welcomes applications from scholars and practitioners who wish to spend a period of time engaged in research on issues of European law. While the Centre has particular expertise in the realm of European Union law, applications are also welcome in the fields of comparative law and European human rights law (including Council of Europe instruments). 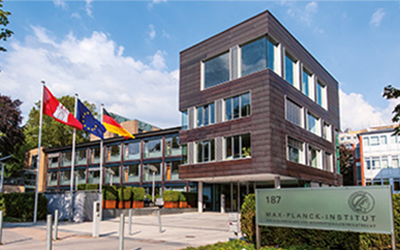 Since 2002 a staff exchange arrangement between Cambridge and the Max Planck Institute for Private Law in Hamburg has enabled up to two visitors per year. In 2013 the Faculty signed a Memorandum of Understanding with Hong Kong University to promote and further academic links. Since 2011 one visitor per year, called the 'Silk Road Scholar', has made an extended research visit to the Lauterpacht Centre for International Law.